♫ It’s beginning to look a lot like Christmas! ♫ What a treat we received from the kind folks at Christmas Forest®. 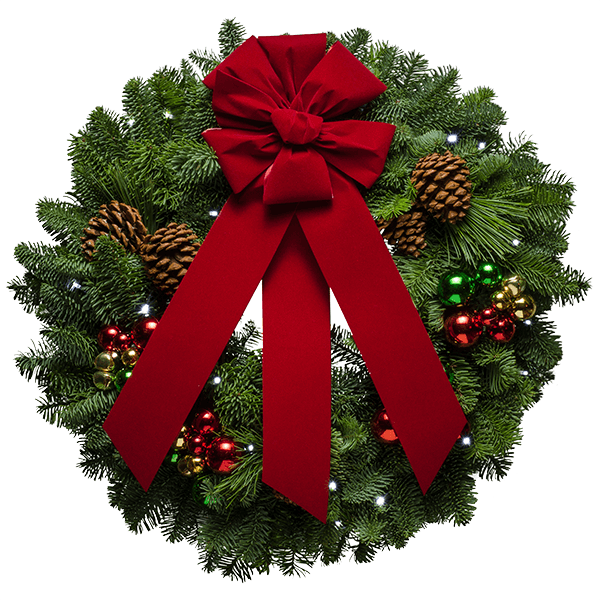 They make beautiful, fresh and fragrant Christmas wreaths. 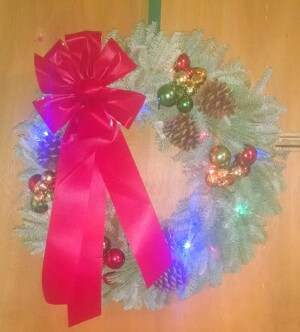 We were delighted to receive their Jingle Bells Wreath to review ~ Jingle Bell Wreath has the smell of Christmas! Beautiful lit or not! I am so happy to have received it free of charge to review and giveaway! Thanks Christmas Forest! Follow Christmas Forest on Facebook and Twitter. The elves at Christmas Forest have a surprise for a lucky reader, it’s a giveaway! If you’re entering our giveaways please follow us and our generous sponsors on the social media sites to which you belong. Modern Day Gramma can be found on Facebook, Twitter, Instagram and Pinterest. I love the look of this wreath. 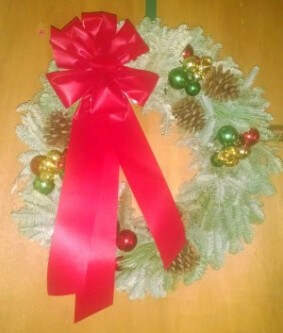 I really enjoy having a fresh wreath in the house for the holidays. I hang it over our fireplace mantle. I love the smell it adds as well.